Ready to go above and beyond the pro level? Time to make a global name for yourself! Over 35 new global game achievements to complete and earn coins that will increase your rider’s status worldwide. – Supports all the latest generation devices and optimized for high-resolution displays. 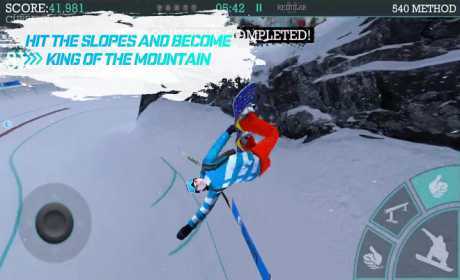 – High definition to provide the best experience in mobile action sports games. – Fully customizable control system. You can adjust everything! – 9 mountain courses to compete on. – Snowboarding’s biggest events including freestyle, halfpipe, and big air. – Trick bank trophy room to stomp every trick in the game! – Bonus challenges every 4 hours to earn extra rewards! – Customize your look with over 100 snowboards and 30 outfits! 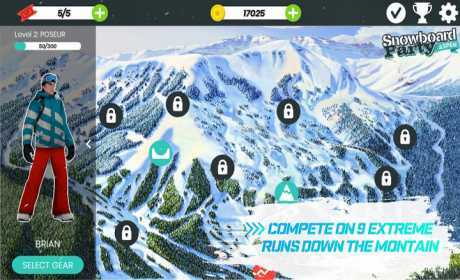 – Play often to gain experience points and upgrade your snowboarder’s stats.